Artis – Aquarium, Planetarium and Zoo. 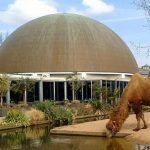 Artis is the oldest zoological complex in the Netherlands and includes more than 500 animal species, three greenhouses, an aquarium, amfibrium, planetarium, and insectariums, as well as the Geologisch Museum, and Zoologisch Museum. The planetarium offers shows created for young minds and while the commentary is in Dutch there are summaries in English, French, and German. The aquarium framed by a Neo-Classical building is perhaps the best bet for youngsters. Four huge tanks support a remarkable population of fish and marine mammals. Check out the amfibrium in the basement. Artis, Plantage Kerklaan 38-40, Amsterdam. Tel: 0900 278 4796, +31 20 523 3400. Tropenmuseum Junior – View cultures of the world. Located outside the city centre in East Amsterdam (Amsterdam Oost), near the “Oosterpark” and Artis, this museum is part of the Tropenmuseum. The junior version provides exceptional interactive experiences created for youngsters 6 to 13 years of age. Children are invited to open their minds to stories from around the world and imagine the daily lives of others from the rainforest in Latin America to urban areas in China and from villages in the Middle East to habitats in Indonesia and India. The museum’s immersive experiences encourage young minds to be curious and open to cultural differences, helping them to be tolerant and to become respectful world citizens. Parking is limited. Free entry with Amsterdam City Card or Museum Pass. Tropenmuseum, Linnaeusstraat 2, 1092 CK Amsterdam. Tel: +31 20 568 8200. 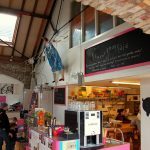 KinderKookKafé – A café by kids for kids. Not just the normal eating out experience, at KinderKookKafé in Vondelpark the food is prepared, cooked, and served by children. They even clean up and bring the bill with assistance from adult staff nearby. The simple set menu includes a main course and dessert. The ingredients are fresh, food is healthy, prices are economical. On Saturdays and Sundays children may cook for their own guests. If you have a child who wishes to participate, plan ahead, reservations are necessary. KinderKookKafé, Katenlaantje Vondelpark 6 (path at Overtoom 333), Amsterdam. Tel: +31 20 625 3257. Joyride – Tour Amsterdam on two wheels. The moving symbol of Amsterdam is the bicycle. 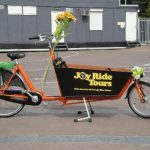 Bicycles are everywhere so if biking is your thing check out Joyride – a company with organised bicycle tours within the city and surrounding countryside. Tours include windmills, green spaces, cheese farms along with Dutch history and humour. These escorted tours are best suited for active families with children older than 10. All tours are given in English however private tours may be requested in Dutch, Spanish, Italian or Russian. Joyride Bicycle Tours Behind the Rijksmuseum and in front of the museum shop Amsterdam. Tel: +31 64 361 1798. 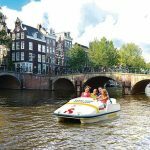 Canalbus & Canal Bike – Rent a pedal boat. Another terrific way to exercise while seeing the city is with a canal bike. The two or four seater mini boat bikes require energy but the result is guilt free eating. The canal bikes are moored at various docks throughout the city so there is no need to pedal roundtrip. Canalbus, Weteringschanshans 24, Amsterdam. Tel: +31 20 626 5574. NEMO Science Centre – Pure interactive, family fun. Inhabiting the harbour is an iconic boat shaped building which is the home to NEMO – an energising science and technology museum. The museum’s five floors actively engage all senses making the visit interactive at every turn. Everything is clearly labelled in Dutch and English. One of the highlights is a fully equipped lab where visitors may don a white coat and undertake an actual experiment. During the summer months Nemo has a rooftop splash park, complete with a sandy area and lounge chairs. Entry is free to the splash-park even for non-museum goers and families are welcome to bring their own picnic lunches. Science Centre NEMO. Oosterdok 2, Amsterdam. Tel: +31 20 531 3233. Rijksmuseum – Best collection of Dutch art. For young families the museum has created a useful family friendly audio tour featuring titbits about the Golden Age of Holland. In addition, look for the Family Treasure Trail – an interactive guide enabling the whole family to explore the museum together. It is free and available at the museum information desk. Children ages 18 and younger enter for free. To save time purchase tickets online because lines can be long. Note: The museum is undergoing extensive renovations until mid 2013. Rijksmuseum, Jan Luijkenstraat 1, Amsterdam. Tel: +31 20 674 7047. 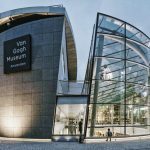 Van Gogh Museum – For parents with young children, the museum offers an interactive treasure hunt (viewing guide) to encourage young eyes to look for clues in the paintings. Those who participate may claim a prize at the end of their hunt. Scripted audio tours, created with children in mind, make the museum more interesting for kids ages 6 through 12. 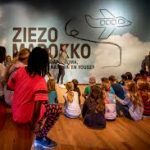 At times throughout the year the museum offers tours created specifically for children and they include a hands on activity themed to the current exhibition. Van Gogh Museum, Paulus Potterstraat 7, Amsterdam. Tel: +31 20 570 5200. Circus Elleboog – Entertainment for kids by kids. Throughout the year, talented Amsterdam youth perform at various locations including parks during the summer months. Details may be found in the monthly tourism publication Uitkrant. 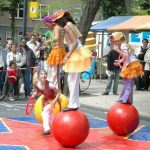 Circus Elleboog, Avenue of Spartan 32, Amsterdam. Tel: +31 20 626 9370. Het Scheepvaartmuseum – National Maritime Museum. 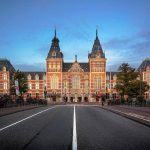 Occupying a striking building dating back to the 1600s, this spectacular attraction has recently surfaced from a dramatic modernisation, which has catapulted the venue into the privileged status as one of Amsterdam’s best museums. 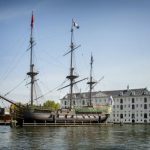 An interactive sea faring adventure adored by children of all ages, this colourful and highly enjoyable environment strives to educate younger generations regarding Dutch history and tradition. The museum offers specifically tailored activities to suit a wide variety of age ranges, including underwater fairytale worlds, a multimedia discovery experience, and the immensely popular life size replica of the “Amsterdam”, an impressive vessel moored in the beautiful IJ bay. Het Scheepvaartmuseum, Kattenburgerplein 1, Amsterdam. Tel: +31 205 232 222. 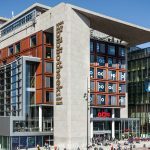 Openbare Bibliotheek Amsterdam (OBA) – Central Public Library. Measuring a colossal 28,000 square metres and spaciously spread across ten levels, Europe’s largest public library is the ideal place for children to enjoy a fun and rewarding educational experience. Dedicating the entire first floor to younger members of the family, the OBA offers a vast and varied collection of Dutch and English titles, a delightful weekly “story time” and hundreds of free computer terminals granting access to the internet, perfect for entertaining teenagers. The seventh storey houses a pleasant self service restaurant that affords breathtaking panoramic views across the city. Openbare bibliotheek, Oosterdokskade 143, Amsterdam. Tel: +31 205 230 900. Tunfun – Underground playground. Located in a former parking garage and underpass, this wonderful facility grants respite from days of sightseeing, enabling younger members of the family to let off steam in a safe and exhilarating environment. A diverse selection of activities are available for all age ranges, allowing hours of active and adventurous fun navigating jungle gyms, testing skills in the skatekart arena, playing football, ascending climbing towers, and springing across trampolines. Adults enter free of charge and can relax with the complimentary Wi-Fi and a cup of coffee whilst the kids run riot. Tunfun, Mr. Visserplein 7, Amsterdam. Tel: +31 206 897 709. 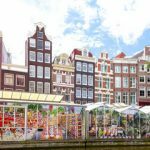 Bloemenmarkt – Floating flower market. The last of the city’s floating markets may be found on the Singel, west of Muntplein. This location remains popular attracting tourists in search of classic photos. The flower displays vary by season but always offer fragrance and beauty. Singel, Amsterdam. Bloemenveiling – Aalsmeer Flower Market. 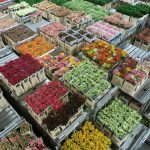 Located about six miles (10 km) from the city centre is the largest flower auction in the world. Visitors may watch the commercial activity from a viewing room above the trading floor. For flowers and a landscape, make time for the Aalsmeer Flower Parade held the first Saturday in September. It is a three km ribbon of flower-bedecked floats that glide through the area. The best place to be is between Aalsmeer and Amsterdam. Driekolommenplein 1, Aalmeer. Tel: +31 297 325 374. Heineken Brouwerij (Brewery) – Visit the home of Heineken. Amsterdam is the home of Heineken beer. The brewery no longer operates on the Stadhouderskade, however the historic building is the base for the Heineken Experience. 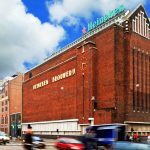 Four floors display the history of Heineken including the horses’ stables, a pub, and the old copper brewery house, as well as providing a 4D theatre presentation. Get inspired by 140 years of Heineken commercials and create your own Heineken inspired music video. Guided tours demonstrate all the phases of beer making. Participants are encouraged to touch, see, smell, and taste. At the conclusion each visitor is treated to several glasses of beer for ‘tasting’. Heineken Experience, Stadhouderskade 78, Amsterdam. Tel: +31 205 239 666. 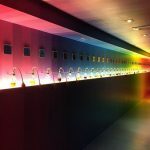 House of Bols Cocktail & Genever Experience – Taste the authentic flavour of Amsterdam. Located opposite the Van Gogh Museum, Bols (the world’s oldest distilled brand) offers an interactive experience designed to educate, enlighten and entertain participants about Dutch ‘gin.’ The self-guided tour is a journey for the senses – sight, sound, smell, and taste. Sample the perfect cocktail; learn the fine art of cocktail slurping. Bols’s best ever Genever from 1820 is presented in the stylish Genever Room. House of Bols, Paulus Potterstraat 14, Amsterdam. Tel: +31 205 708 575. 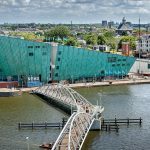 Ajax Museum & World of Ajax – Fun for soccer fans. For fans of Ajax – the most famous of all Dutch football clubs – this is a must. It is possible to join a 45 minute tour of the soccer complex and to enjoy extra time at the Ajax Museum located within Amsterdam ArenA – the club’s home stadium. The museum showcases the history of the club and displays Ajax memorabilia, including football cleats, awards, contracts, and jerseys. World of Ajax tours include a peek behind the scenes at the press room, control room of the stadium, the highest seats, and a chance to watch a team practice. Amsterdam Arena, Arena Boulevard 29, Amsterdam. Tel: +31 203 311 336. 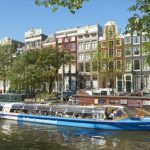 Canals and Canal Boats – Cruise the city. Much like St. Petersburg and Venice, Amsterdam’s canal system holds the city together providing transportation, recreation, and entertainment. These narrow waterways were recently added to the UNESCO World Heritage List. Ride the canals at night and feel the city’s magical atmosphere complete with millions of lights along the waterways, and on official buildings. It is possible to purchase a 24 hour on/off ticket making it possible to visit 20 different tourist destinations – that is if you do not plan to sleep. 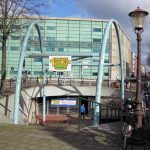 AmsterdamCityCruises, Tramplein 8A, Purmerend, Amsterdam or Amsterdam Grayline Canal Boats ticket shop at Damrak Pier 5, Amsterdam.